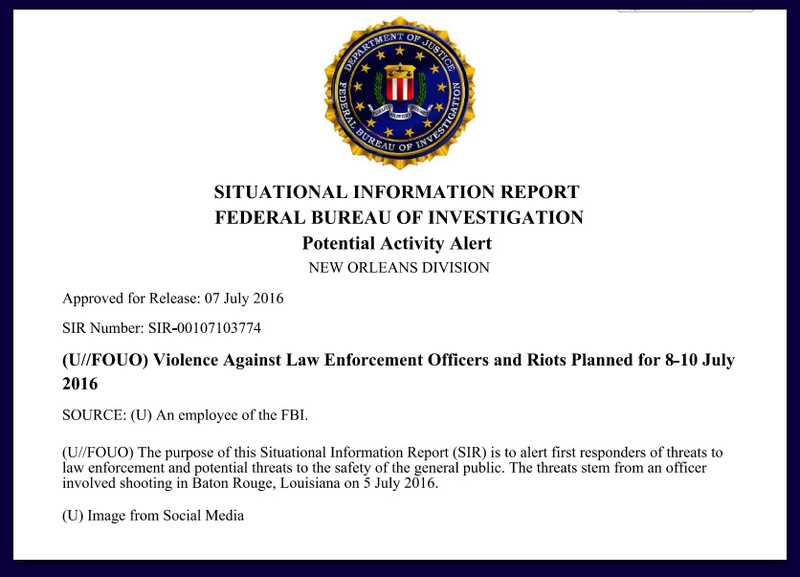 The FBI issued alert to Louisiana law enforcement agencies warning of violence against officers and planned riots in the aftermath of this week’s high-profile fatal shooting of a black man by Baton Rouge Police. 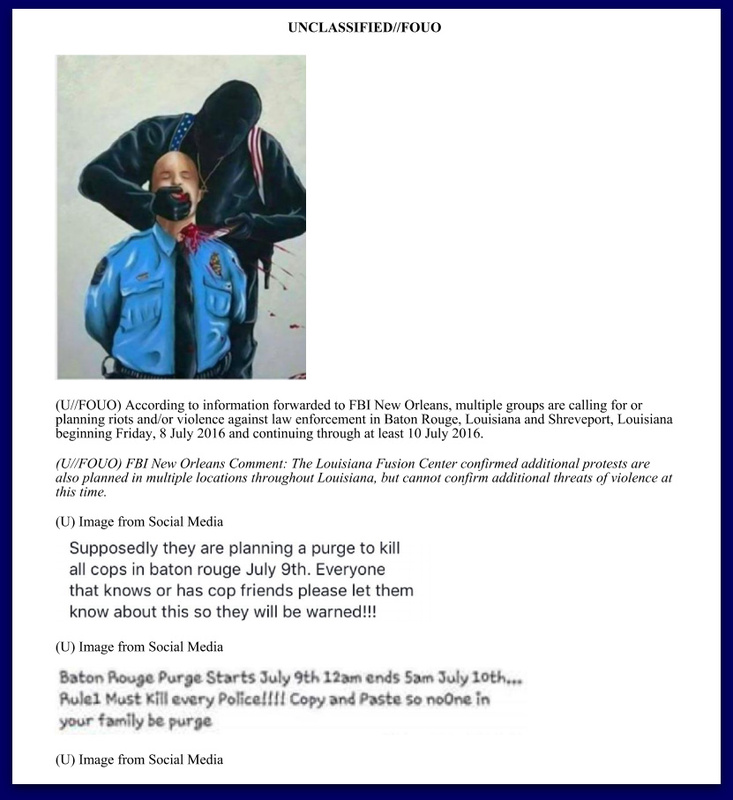 Judicial Watch obtained a copy of the situational information report, which was distributed to police and sheriff departments in Bossier, Caddo Parish and east Baton Rouge as well as Louisiana State Police. See the full report pdf here.